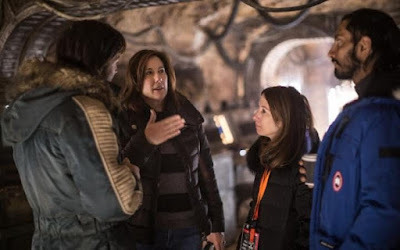 Kathleen Kennedy has been busy promoting Rogue One: A Star Wars Story and even though the film has just hit screens, Star Wars fans are already wanting more. Fans are questioning when the next anthology movie will be out and also a trailer for Star Wars Episode VIII. During an interview Kennedy revealed the Han Solo movie will start shooting in February with Phil Lord and Chris Miller at the helm. The film stars Alden Ehrenreich as Han Solo, and Donald Glover as Lando Calrissian. Also the Lucasfilm president was questioned when we will get a trailer for Star Wars Episode VIII. I bet all my blue milk it will be at Star Wars Celebration which takes place in Orlando, Florida between April 13th and 16th 2017.